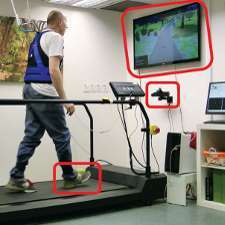 A combination of virtual reality and treadmill training may prove effective in preventing dangerous falls associated with aging, Parkinson's disease, mild cognitive impairment or dementia, according to a new Tel Aviv University-Tel Aviv Sourasky Medical Center (TASMC) study published in The Lancet. According to the study's lead authors, Prof. Jeff Hausdorff and Dr. Anat Mirelman, both of TAU's Sackler School of Medicine and TASMC's Center for the Study of Movement, Cognition and Mobility, the intervention combines the physical and cognitive aspects of walking, and could be implemented in gyms, rehabilitation centers and nursing homes to improve walking skills and prevent the falls of older adults and those with movement disorders like Parkinson's disease. "Falls often start a vicious cycle with many negative health consequences," said Dr. Mirelman. "The ability of older people to negotiate obstacles can be impaired because of age-related decline in cognitive abilities like motor planning, divided attention, executive control and judgement. But current interventions typically focus almost exclusively on improving muscle strength, balance and gait. "Our approach helps improve both physical mobility and cognitive aspects that are important for safe walking," Dr. Mirelman continued. "We found that virtual reality plus treadmill training helped to reduce fall frequency and fall risk for at least six months after training—significantly more than treadmill training alone. This suggests that our use of virtual reality successfully targeted the cognitive aspects of safe ambulation to reduce the risk of falls." 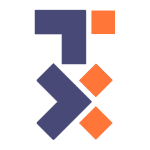 The TAU-TASMC team, in collaboration with partners across Europe, collected data from 282 participants at five clinical sites in Belgium, Israel, Italy, the Netherlands and the UK between 2013 and 2015. The participants, all aged 60-90, were able to walk at least five minutes unassisted, were on stable medications and, critically, had reported at least two falls in the six months prior to the start of the study. Nearly half of all participants (130) had Parkinson's disease, and some (43) had mild cognitive impairment. Participants were assigned to treadmill training with virtual reality (146) or treadmill training alone (136). The virtual reality component consisted of a camera that captured the movement of participants' feet and projected it onto a screen in front of the treadmill, so that participants could "see" their feet walking on the screen in real time. The game-like simulation was designed to reduce the risk of falls in older adults by including real life challenges such as avoiding and stepping over obstacles like puddles or hurdles, and navigating pathways. It also provided motivation to the participants, giving them feedback on their performance and scores on the game. While the incident rate of falls was similar in the two groups prior to the intervention, six months after training the rate of falls among those who trained with VR dropped by almost 50%. In contrast, there was no significant reduction in the fall rates among subjects who did not train with the VR. "Interestingly, when we asked people if they enjoyed the treatment program, participants in the virtual reality group reported higher scores on user satisfaction questionnaires and a greater desire to continue to exercise with the 'game,'" said Prof. Hausdorff. "This suggests that the virtual reality not only led to fewer falls, it was also more likely to be used in the long-term. Exercise needs to be fun and effective if it is going to be used continually. "The biggest improvement was seen in participants with Parkinson's disease," Prof. Hausdorff continued. "It was very exciting to see such improvement in the presence of a neurodegenerative disease. Still, we need to conduct further research to verify the results and better understand why the fall rates were so responsive in the people with Parkinson's disease." "Treadmills are widely available, and the additional cost of treadmill training plus virtual reality is only about $4,500. The low cost could permit this approach to be widely used in various settings," said Dr. Mirelman. "Future studies need to examine whether treadmill training plus virtual reality could be used as part of a prevention package to treat fall risk before falls become common and before injuries occur."